With thousands of businesses dotting the social media landscape, a professional social media page design alone is no longer enough. You’ve got to constantly build a solid online presence and grow your business’ reach on the social media landscape. Fortunately, the Internet simply swarms with a host of free social media analytics tool that help you analyze the impact of your social media activities. 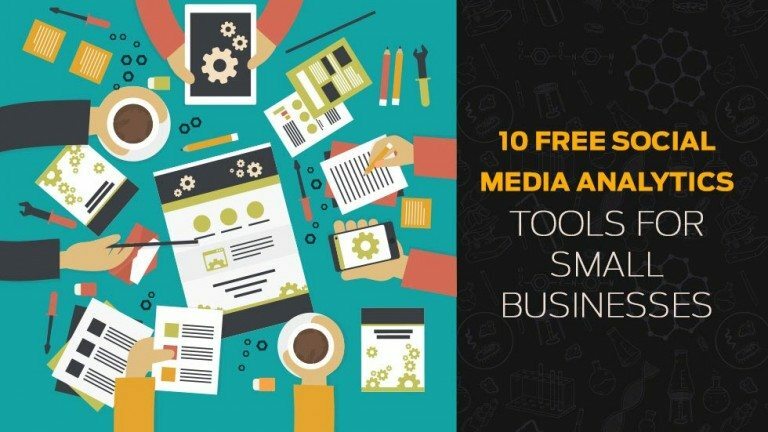 So if you’re looking to beat your competition hands down on social media, skim through this list of top 10 social media analytic tools that help you win the battle of attention on the social media turf without splurging your pockets. An all-time favorite, Buffer helps you analyze the impact of all your activities on Facebook, Twitter, Google+, and LinkedIn. This tool helps you get an insight of what’s working and what’s not on your social media pages. Buffer offers you both paid and free services. Followerwonk is amazing tool to measure your impact on Twitter. It provides you a detailed breakdown of your followers and activity. It gives you analysis on when your followers are online, your tweet schedules and the categorization of your followers into social authority, activity, total tweets, and follower count. This Viralwoot is your best friend if you’re on Pinterest. This tool allows you to schedule and promote pins, and catch the attention of followers. The free plan of Viralwoot offers you a detailed analysis of new followers, new pins, repins, and likes. An amazing tool to analyze your business’ performance on Instagram, Iconosquare offers analysis of post views, likes, comments, and followers. In addition, it also allows access to monthly reports, likes, comments and your business’ reach on Instagram. You may even import your email with a few clicks. Another great tool to manage and analyze your Instagram performance, Collecto provides a detailed overview of your engagement, likes, comments, and followers. It also provides stats on most popular photos, likes and comments of all time. Perhaps the most used analytics tool by most businesses worldwide, Google Analytics makes it easy for you to track the referral stats and traffic to your site from your social media pages. The tool clearly indicates the how many visits your site receives from each of the major social networks. SumAll is a brilliant tool to analyze and track your performance on the social media turf. With a staggering list of connected apps, SumAll gives you a real time analysis of day-to-day and week-to-week changes and updates on your Twitter, Facebook, Google+, LinkedIn, and other social media accounts. You get a weekly email of the insights and analysis making it easy for you to analyze your performance on your major social media accounts. Now, if you’ve been planning to unleash success on the world’s most visited social networking site, Facebook, Quintly is the best tool for you. It allows you access analytics for up to three Facebook pages. It provides you detailed insights on prominent engagement metrics such as likes, comments, shares, and followers. In addition, you can even compare multiple pages with this tool. Cyfe allows you to create a custom dashboard filled with stats from dozens of marketing tools. The tool lets you sync synchronize all your social media accounts and analyze reports for all the social media accounts you manage. Certainly a must-have tool if you analyze your company’s performance on different social media channels at once. Beevolve is another interesting social media analysis tool that allows you to create and send social media messages with direct tracking on your ROI. All you need to do is fill in your cost to put in the social media content and your expectations, and the tool will help you calculate the exact ROI. You can also extract a detailed report about the same. But what’s cherry on the top is that you can do all this for free. What’s your personal favorite in this list? Let us know in the comments below.